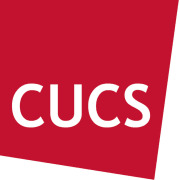 CUCS helps people rise from poverty, exit homelessness, and be healthy. CUCS excels at providing integrated programs that link housing, health, and social services for New York's most vulnerable people. Today we care, uplift, connect and serve 56,000 individuals in New York and nationally. Volunteers play an integral role in our work to build brighter futures throughout New York. We welcome corporate and large groups interested in making a difference through volunteering with us. Would you recommend Center for Urban Community Services?